With the inclusion of Coronary stents in the National List of Essential Medicines and NPPA in the process of deliberation of rationalization of the stent prices in the country, Cardiology Society of India (CSI), the largest body of cardiologists in the country has written to the health ministry, asking for participation in the price fixing process. In a letter written to the Secretary of Health, the body has further suggested that stents should be considered under different categories for fixing price points. Elaborating further, it notes that that there are four components of stent—the delivery balloon, metallic platform, the polymer on which the drug is attached and the type of the drug. All these have have undergone refinements to achieve better efficacy and safety profile and, hence, all stents cannot be considered as a single entity, and hence may require a differential consideration. In particular, there are two kinds of stents widely prevalent in the country- bare-metal and drug-eluting. With the advancement of technology, a new class of stents, ie, absorbable stents , which are relatively expensive, are also seeing a huge demand in the country. 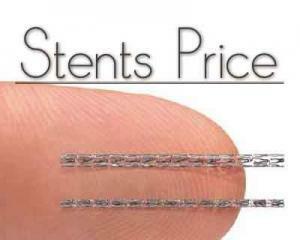 Moreover, stent as well as their prices at the moment are dependent on various other factors including product design, clinical evidence, performance, patient safety and many more. Hence, putting them in one bracket, might just hinder the process of innovation.